The 2005 Paris Declaration on Aid Effectiveness defines the principles and commitments by which donors and developing countries intend to ensure that aid is as effective as possible in contributing to the Millennium Development Goals and other internationally agreed development objectives. 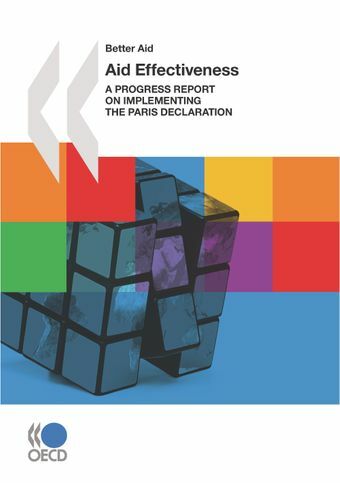 This report is a mid-term review of progress towards these commitments, drawing on the 2008 Paris Declaration Monitoring Survey and the Evaluation Synthesis Report among many other sources. Part I highlights the main actionable lessons and messages emerging from the analysis of progress to date. Part II covers the commitments under the five Partnership Principles related to ownership, alignment, harmonisation, development results and mutual accountability, together with four subjects of critical relevance: sector perspectives, the role of civil society organisations, situations of fragility and conflict, and the changing aid architecture.